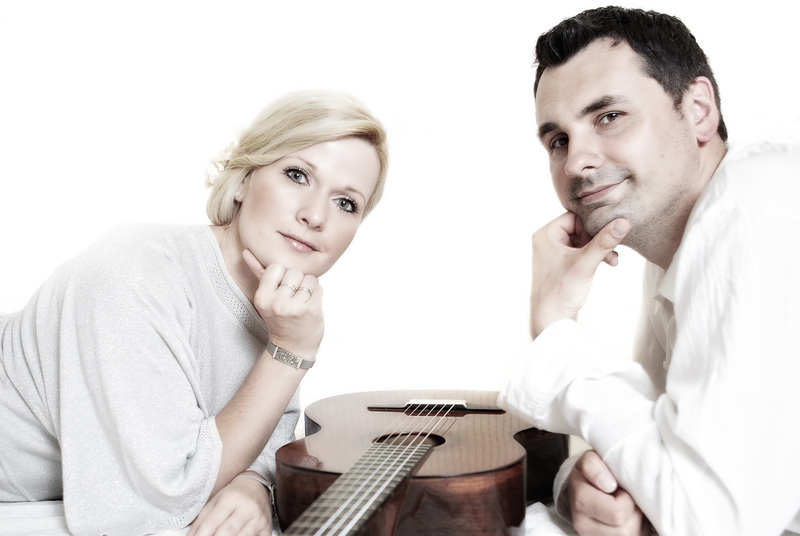 These two strong Polish musical personalities compliment each other extremely well and offer instrumental virtuosity coupled with spontaneity and excellent ensemble playing. 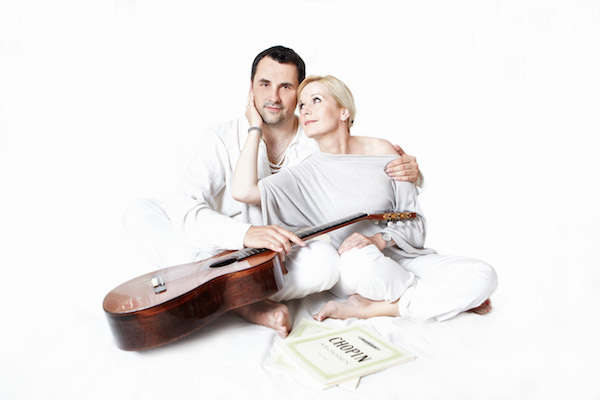 The unusual combination of piano and guitar along with a well-selected repertoire is the basis for their exciting and diverse Program. Klavitarre has given recitals in Austria, Belgium, Bulgaria, Canada, Czech Republic, Denmark, Germany, Italy, Poland, Romania, South Korea, Spain, Venezuela, and the USA. 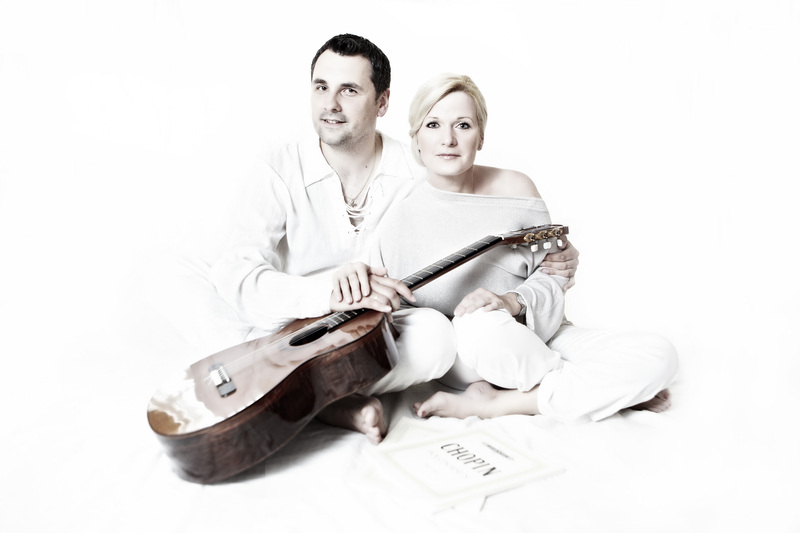 Maciej Ziemski and Jolanta Ziemska were the creators and artistic directors of the International Guitar Festivals in Grotniki and Jarosław Poland and are now the organizers of the International Guitar Festival in Bremen, Germany, along with being the directors and founders of the private music school “ConTakte”, which is also located in Bremen. Jolanta Ziemska is very busy as a soloist, chamber music partner and has often appeared as soloist with orchestra. Her repertoire includes, among others, compositions by Johann Sebastian Bach (1685-1750), Frederic Chopin (1810-1849), Ludwig van Beethoven (1770-1827), Claude Debussy (1862-1918), Sergei Rachmaninow (1873-1943), Maurice Ravel (1885-1937) Domenico Scarlatti (1685-1757), Alexander Skriabin (1872-1915), and Karol Szymanowski (1892-1937). Under the guidance of world-renowned pianists, she has participated in numerous international master classes and has taken part in national and international competitions. As a performer, Jolanta Ziemska has performed in countries that include Bulgaria, Canada, Denmark, France, Germany, Italy, Poland, Spain and the USA. Mrs. Ziemska has concertized extensively in Poland and has played in Żelazowa Wola, the birthplace of Frederic Chopin. She has recorded for Radio and Television. Maciej Ziemski won a scholarship issued by the Minister of Culture and Art in Poland and completed his post-graduate work at the University of the Arts (Hochschule für Künste) in Bremen, Germany. He was a student in the guitar classes conducted by Jens Wagner and later finalized his studies as a master student of Professor Bernard Hebb where he completed his studies and received his “Soloists Diploma” (Konzertexamen). As a master student he was granted a scholarship from the “Catholic Academic Foreigners Office” (Katholischer Akademischer Ausländer Dienst) in Bonn, Germany. Over the Years, Maciej Ziemski has been the winner of many national and international competitions and has performed as a soloist and in chamber music ensembles. He has taken part in many national and international master classes with: Gérard Abiton, Aniello Desiderio, Zoran Dukić, Carlo Marchione, Thomas Müller-Pering, Alvaro Pierri, Tadashi Sasaki, Pavel Steidl, Michael Tröster and many more. Along with participating as a judge in many guitar competitions, Mr. Ziemski has recorded for TV and Radio and has held guitar master classes in many cities. He was also an assistant teacher at the University of Music in Łódź, Poland and a lecturer at the University of the Arts in Bremen.